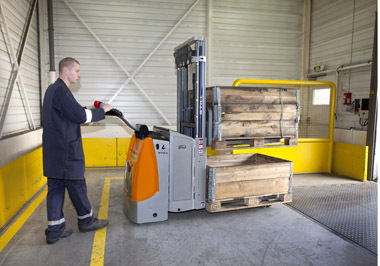 Horizontal transport of heavy loads is where the EXD 20 shines, being one of the most powerful hand-guided double deck lift trucks in the market. 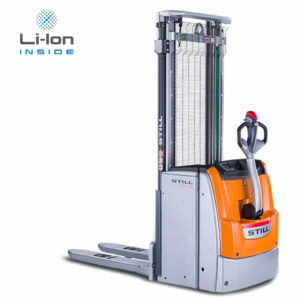 The agile warehouse organiser lifts up to 2,000 kg, or 2 x 1,000 kg in double deck mode in no time. 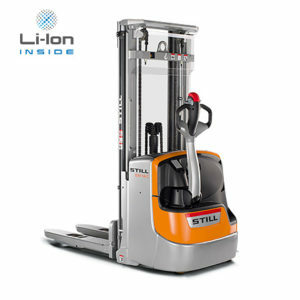 All functions can be controlled with one hand by right-handed as well as left-handed drivers. 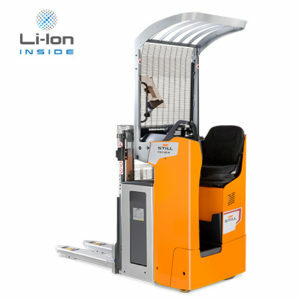 The haptically distinguishable lift and lowering buttons allow you to fully concentrate on the goods to be transported. The EXD 20 moves precisely, smoothly and jerk-free within a limited space while always protecting the driver’s feet, thanks to the low truck contour. 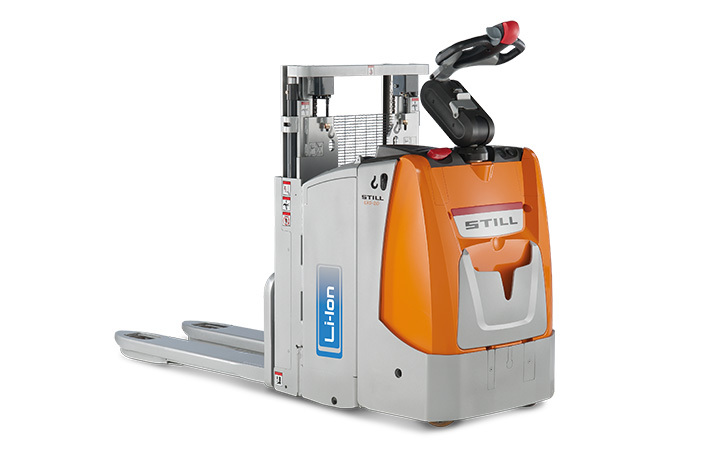 Are you asking for a partner that is ideal in two ways, for horizontal transport on medium and long distances? The EXD-SF is the answer. 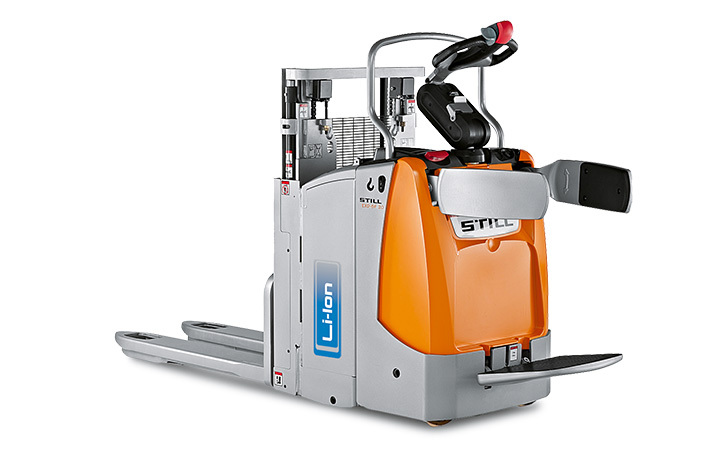 Thanks to the double deck mode, you can lift two pallets of up to 1,000 kg each simultaneously – the perfect solution for pressuresensitive goods like fruit or vegetables that require quick handling. 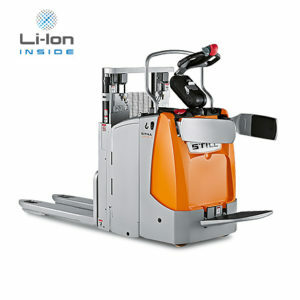 And you can lift single pallets up to 2,000 kg. The EXD-SF comes with a hinged, air-suspended stand-on platform that keeps you from getting out of breath even on long distances. Hinged, height-adjustable side arms guarantee safe driving up to 9 km/h. 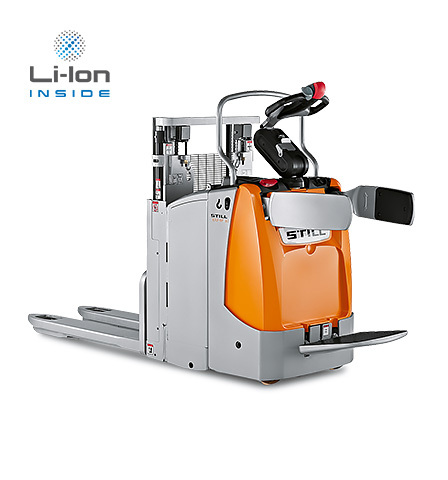 But the EXD-SF with singlehanded control has yet more to offer: excellent floor contact, jerk-free and sensitive drive as well as smooth, precise steering.